Don’t get Showtime, but wanted to watch Wednesday’s “All Access: Ronda Rousey” documentary? No worries, because we’ve obtained the 30-minute show for your viewing pleasure. The “Rowdy” one clearly has the “IT” factor. Strikeforce and Showtime have never dedicated an entire show towards a single mixed martial artist, let alone a female cage fighter. During yesterday’s conference call, Rousey said she enjoyed working with Showtime on the documentary. However, the cameras were a little too close and personal at times. 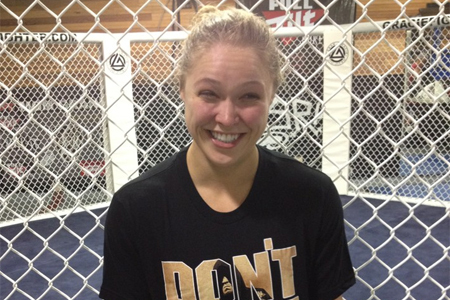 Watch “All Access: Ronda Rousey” to see what she was talking about. Rousey will break in her freshly-minted bantamweight crown against Sarah Kaufman on August 18th inside Valley View Casino Center in San Diego, California. The ladies will headline the Showtime broadcast.